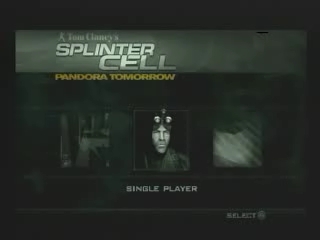 Released in March 2004, in this sequel to Splinter Cell you again play as Sam Fisher, an experienced agent working for Third Echelon. He learns the secrets behind Suhadi Sadono's "Pandora Tomorrow" phone calls, and protect Los Angeles from a madman with a nuclear device. Timing note: the time from when the game starts to save until the loading screen begins to fade back into the game is excluded from the timing, but the long loading screens are included. Best time, normal mode: 1:11:45 by Wesley 'Molotov' Corron on 2004-12-11, done in 53 segments, with segments appended together into the 8 levels. At first, I didn't think this game could be done under the 7 hour time "limit". Man, I was wrong. This game doesn't like you going too fast at times, and it acts up...causing some weird results (especially level 2's last checkpoint). Overall, I'm happy with this run, and hopefully you'll enjoy it.